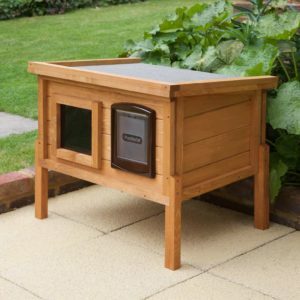 Welcome to our fantastic Outdoor Cat House range. 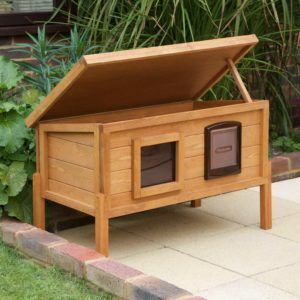 Our outdoor cat houses are lovingly designed and made in the UK. They are the finest in Europe. We love nothing more than hearing stories from cat owners who, after installing a cat house for their cat or a stray cat tell us how happy they are with their new home from home. Animals are our passion and we love nothing more than knowing that your furry family members are living in comfort, whatever the weather. We are only satisfied if you’re 100% happy with your purchases and buying experience. That’s why you’ll only find the best-made products here on our website. We offer a range of styles and designs, each of which is of the highest quality. Browse the options and use the information we provide to find the very best option for your cats at home. Unlike most retailers online who import their products from the Far East, we invest in Great Britain! 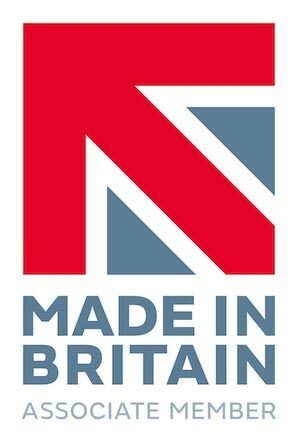 All our products are proudly manufactured in the UK and also a Member of the Made in Britain Campaign. 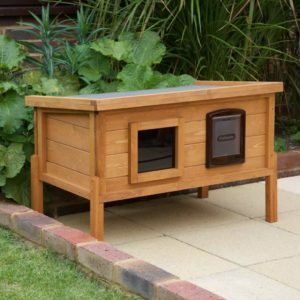 The outdoor cat houses are designed to withstand the British weather. Your cat will have the perfect, safe sanctuary to escape to when the weather turns for the worse, all day shade for when the sun shines and the ideal hideaway when they want some peace and quiet. We welcome your questions, feedback and feel free to leave reviews of your buying experience and for the product, you buy from us. However, we’re also open to hearing about things you don’t like too. Your feedback helps us to continue to grow; we are constantly working to provide the very best for our customers. Trust, satisfaction and happy cats are what we care about the most. Do you have a cat who loves to find places to hide outside? Perhaps you have a cat enclosure and you’re looking for a warm addition to your cats outside space. Maybe, you just want to treat your cat to a safe, cosy space to call their own? 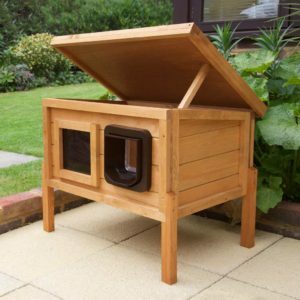 Whatever the reasons, you’ll be glad to know our outdoor cat houses are all made here in the UK, constructed from thick European Pinus Timber and they’re built to last. We have two sizes available for you to choose between. Each of the houses is of the same high quality; the only difference is in the size. Measure the space you have available to ensure you buy the right size. If you have more than one cat you can choose the larger size so each cat is able to accommodate their new abode in comfort. One of the features of our cat flap cat houses is the addition of a one-way viewing window. Your cat can enjoy the view and keep an eye on their territory from within the house in complete safety. No neighbourhood cats or wildlife will even know they are there! Cats love to keep an eye on the comings and goings outside. The addition of the viewing window means they can do just that without having to leave to comfort of their home. Each of our cat houses come fully constructed. Included in the package are four legs and screws. 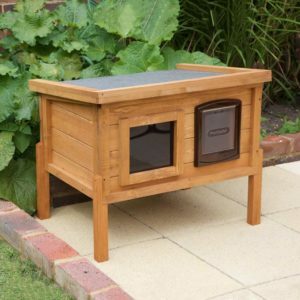 The use of the legs is optional, although we do advise our customers to use the legs if the cat house will be placed directly on the ground or lawn. The legs are unattached to avoid damage during delivery. Use the supplied screws to attach the legs to prevent the base from getting damp outside. Once the legs are attached, your cats can then enjoy exploring their brand new sanctuary. We want to make sure you buy the right house for your requirements. These cat houses come with a cat flap. 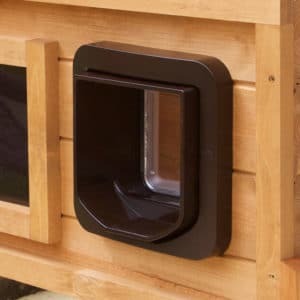 Please note, we do have outdoor cat houses with microchip cat flaps available too, click here to view our Sureflap Microchip Cat Flap houses. No one likes the idea of their cat waiting outside in the wet and the cold. We all want to know that our cats are safe and happy, whether the sun is shining or snow is falling from the sky. We have a range of outdoor cat houses with built-in cat flaps that provide a safe haven for cats, all year round. The cat flap allows easy access without leaving a large gap that allows the internal area to get wet or damp. Inside our cat house is a space that is large enough for your cat to sprawl out and relaxes in safety. Each house is fitted with AIRTECH® 1500 Insulation Fully Lined Roof & Base that Self-regulates Cat’s Body Temperature in the Summer and Winter. Do you have any questions? Don’t hesitate to get in touch with the experts here at Home & Roost. Our team are on hand to ensure you make the right choice when choosing the right house for your cats.